White fillings are ideal for patients who are sensitive to metals and are concerned about the mercury content of an amalgam filling, or who simply want to preserve their natural beautiful smile. White fillings, or composite fillings, are made from a tooth-coloured material that restores the natural appearance of a decayed or previously metal filled tooth cavity. Because white fillings blend perfectly with your tooth enamel, our professional and experienced dentist will often recommend them if the tooth in question is near the front of your mouth and also for back teeth as black fillings are gradually faded out. A white dental filling typically requires only one dental visit to your Scarborough dentist, Brimley South Dental, during which the tooth or teeth are prepared and restored with white tooth fillings. An advantage of white tooth fillings, as compared with other dental restorations, is that they need less of the healthy part of a tooth to be removed to hold the filling in position. This is due to the filling’s composite material being capable of bonding to the teeth more tightly. 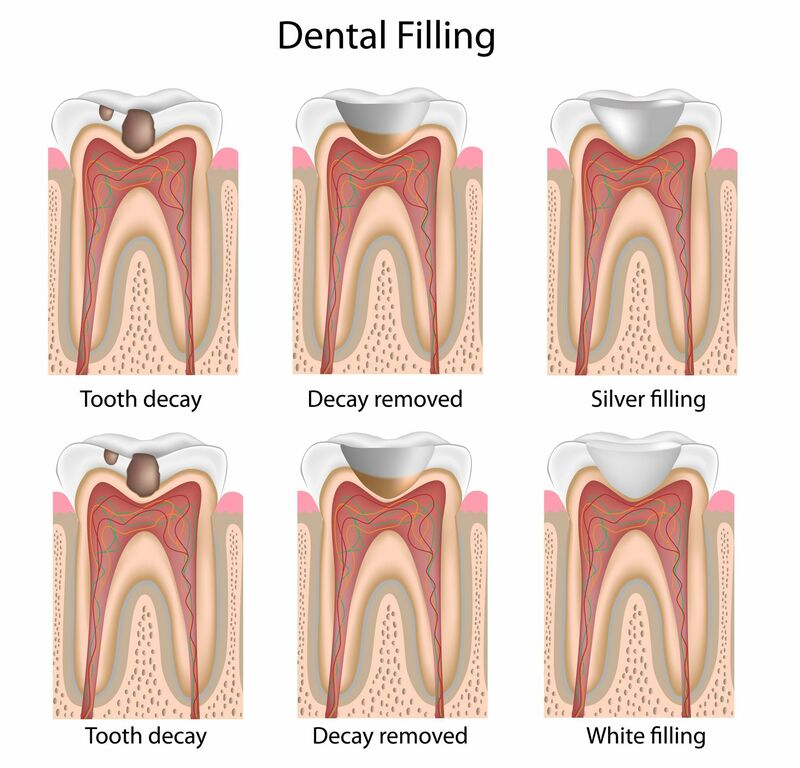 Learn more about other alternative fillings.